Parallel word stories or isekai is a genre which has gained too much popularity for its own good over the years with every big publisher and animation studio jumping on the bandwagon rendering the whole thing hopelessly stereotypical and unoriginal. The newest trend: keeping isekai alive by playing to the genre’s advantage all the while turning yawn-inducing clichés on its head. A teenager, somewhat on the nerdier side, finds themselves transported in a whole new dimension where they strive and become the saviour/hero of this new world, something they would never have achieved as their original self back in their own world. If this tagline sounds familiar, that’s because it’s what the whole isekai genre has been reduced to due to its increase in popularity over the past years with widespread series such as Sword Art Online and the rise of the MMORPG (role-playing video game) subgenre. 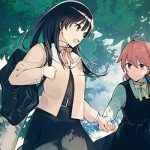 If isekai stories have been around for as long as the fantasy genre itself exists with award-winning masterpieces such as Spirited Away (Ghibli), today new isekai releases are usually greeted by the manga/anime community with groans which is what primarily happened with the anime adaptation of Rising of the Shield Hero or Tate no Yuusha no Nariagari. 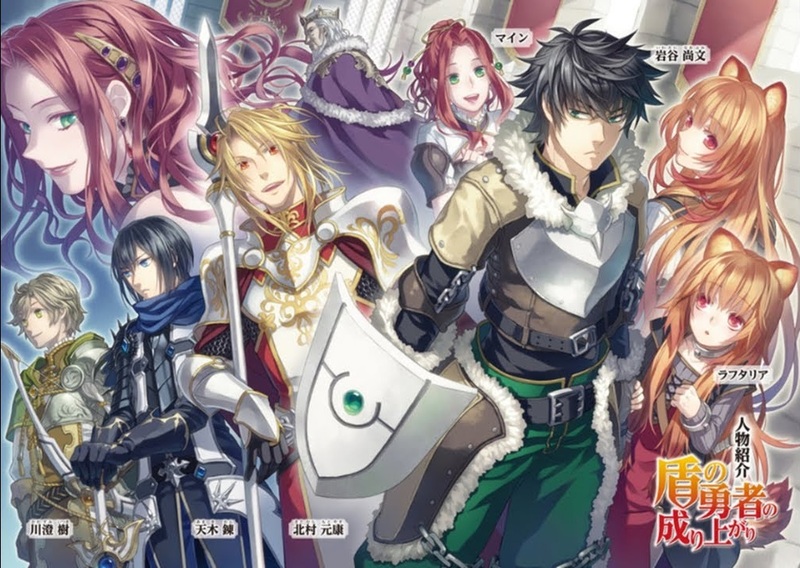 Comparable to most isekai anime adaptations, Rising of the Shield Hero started out as a light novel series (illustrated novel) by Aneko Yusagi and illustrated by Seira Minami followed by a manga series by Aiya Kyû only to announce its anime debut in early January 2019 by Kinema Citrus, a relatively new animation studio. The series starts out like any other parallel world story with the teleportation of four individuals to a similar yet new dimension where they are to fulfill their duties as legendary heroes to save the realm. The legend of the four heroes represents each of them yielding different weapons: a sword, a spear, a bow and finally a shield, the only defensive weapon. When Iwatani Naofumi finds himself embodying the shield hero, his lack of offensive skills earn him little to no respect from his peers to the extent where he finds himself cast aside and ridiculed for his naivety. Finally, framed and exiled for a terrible crime he did not commit, the initially kind-hearted Naofumi breaks down and vows vengeance on this new world which has only done him wrong; his newfound rage setting himself and his story apart from what could have a been a very dull and unoriginal series. 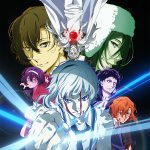 Tate no Yuusha no Nariagari has all the bakings for your run-of-the-mill fantasy world isekai series from the skilfully tailored yet typical shônen art style as early on as with its manga days to its visually pleasant yet banal character designs where a lot of elements have undoubtedly already been seen before incomparable series. 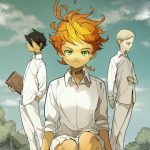 Where the series has struck gold however, is with its ability to use the burnt out genre and managing to make it appealing once again by using new ideas and translating them to a wider variety of people, pulling in not only the usual isekai-loving crowd but curious newcomers who find themselves hooked and cautiously optimistic at the unveiling of this new adaptation. Having the audience see the overworked genre with a fresh pair of eyes is the only way for it to captivate the attention of the most blasé of viewers. Rising of the Shield Hero is an isekai series through and through yet it doesn’t focus on labeling itself as one by prioritising its main character and making him central to the series’ narrative, turning him into a believable character to root for through the infuriating injustices Naofumi suffers throughout the first episodes. His plight inspires compassion as he suddenly changes from the happy-go-lucky, somewhat clumsy Naofumi to a broken down cynical shield wielding anti-hero, exiled and faithless. Has this world broken him for good or will the Shield Hero rise and get the recognition he deserves? Though the original idea speaks of saving a parallel universe from waves of evil, the story ultimately rests on the fallen character and his demise, trapped in a skewed unjust world. Rise of the Shield Hero currently has four aired episodes and is one of the top must-watch series of the winter right behind Yakusoku no Neverland (read review here). With isekai series infamously known to quickly die down after its first few episodes, it’s a wait and see on how Tate no Yuusha no Nariagari holds up against the test of time. 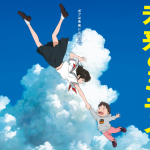 This entry was posted in ANIME and tagged anime, anime adaptation, anime review, battle, fantasy, isekai, light novel, Manga, manga adaptation, naofumi, new dimension, parallel world, raphtalia, rise of the shield hero, shield hero, shonen, tate no yuusha, tate no yuusha no nariagari. Bookmark the permalink.